Wrightslaw Special Education Law and Advocacy Conference, a Wrightslaw training program featuring Pete Wright, Esq., is being sponsored by the Autism Society of Greater Tucson. This workshop price reflects a grant received from The Arizona Developmental Disabilities Planning Council and has also been underwritten by the Autism Society Greater Tucson, Southern Arizona Network for Down Syndrome and The Arc of Tucson. A day-long hands-on special education workshop designed to meet the needs of parents and professionals serving children and teens with disabilities. Topics: IDEA history and overview, special education and related services, child find, least restrictive environment, extended school year, mainstream, inclusion, understanding tests and assessments, procedural safeguards, Section 504, prior written notice, and IEPs. Conference fee includes Continental Breakfast, lunch, afternoon snack and three books Wrightslaw: Special Education Law, 2nd Edition, Wrightslaw: From Emotions to Advocacy, 2nd Edition, and Wrightslaw: All About IEPs. Click here to register and pay by check or money order. Download and distribute the Save the Date flyer. Credits: 0.6 CEU's (continuing education units) have been approved for this conference. Scholarships: Limited amount of discounted rate scholarships will be available on a first come first serve basis. Contact the sponsors for more information. Corporate Sponsorship Opportunities: Click here for sponsorship information. Refund Policy: No refunds are available after October 21, 2013. Reasonable Accommodations? Sign language interpreter, vegetarian meal, gluten free meal, Verbal Spanish translation (all print materials/resources are only available in English), other upon request. Questions? Contact the Autism Society of Greater Tucson by email or call 520-770-1541. Click here for directions to the Casino del Sol Resort, Spa and Conference Center. Parking is free at the venue. Valet parking is available. 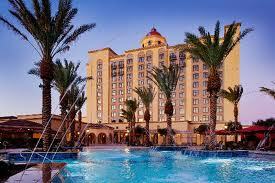 The Autism Society Greater Tucson has negotiated a special rate for the conference attendees. Room rates of $119 plus tax per night for two queen beds or one king bed. This rate is good for reservations made on or before October 25, 2013. The block of rooms may fill up, so register early to receive the discount. Check in time 4 pm, check out is 11 am. Click here for more information.